That was a wonderful way to spend a Sunday late afternoon/evening. I really enjoyed both bands thoroughly. It was an excellent pairing of bands with some overlap of influences but very different approaches to songcraft. I couldn’t agree more with you, Raff. The crew at R&D’s always make for a warm and welcome experience. Thank you for your support, Dan! It was a great show and a great day. Hope to be back in NJ soon! I love both these outfits, having seen Shadow Circus twice and been privileged to do a show with Edensong at Orion a few years ago. 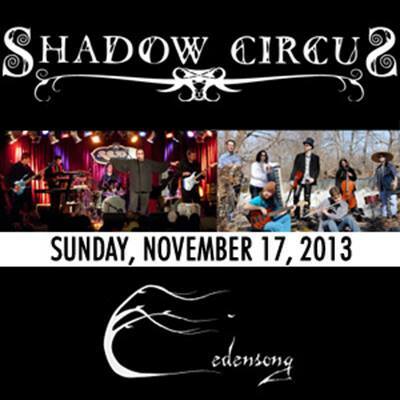 John and James are a couple of true prog masterminds and while I do not know the new guys in Shadow Circus I know nothing less than excellence will do in these bands. Some day I will make it to the Proghouse … like when the wife will let me LOL…. Another fine review and Rafaella’s love for the genre is always evident. Thank you so much, Mike! For me it is much easier to go to the Orion, but the show and the company were well worth the trip.